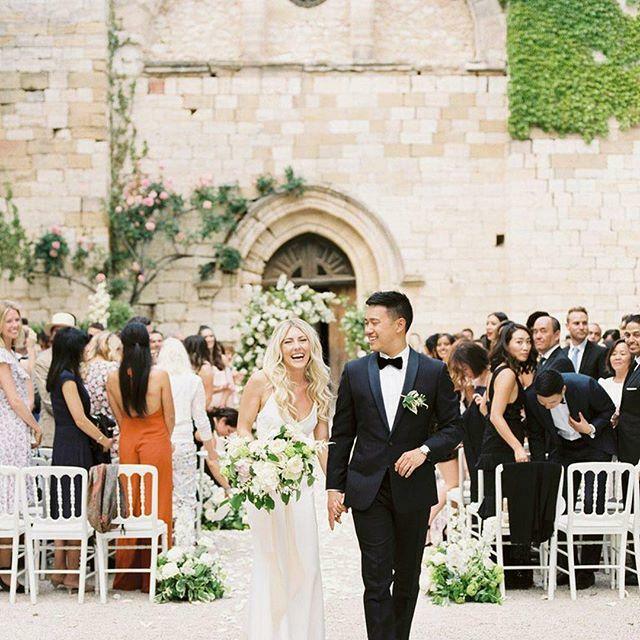 We've dreamed of getting married in a Chateau in France with 17th-century ruins. ✨ This couple actually did it. ✨ Guests traveled far for this gilded celebration worthy of royalty—they even stole a detail from Kate Middleton and Prince Williams' wedding!